You are currently browsing articles tagged toast. Reading research behind the headlines: Can burnt toast and roast potatoes cause cancer? ‘Food causes cancer’ stories can seem like a standard stock-in-trade. But it’s very often worth examining the science behind the sometimes alarming headlines. 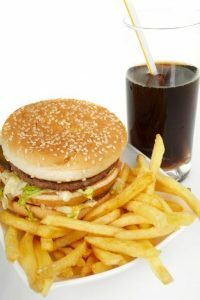 Today there has been lots of attention on acrylamide (see this in The Sun and The Mirror), following warnings from the Food Standards Agency (FSA) that some home-cooked food, such as over-done or burnt toast, fried chips, or well-roasted potatoes, contain more of the potentially carcinogenic chemical. The fundamental research behind this story was spearheaded by the University of Reading back in 2002, when Professor Don Mottram published a paper in Nature showing the process by which acrylamide is created in some cooked food.